Superman is one of the most powerful characters ever created. He has an endless amount of powers and abilities, but he wasn’t always like that. When Superman was first created he only had super strength, the ability to jump over buildings, and run as fast as a train due to the strength of his legs. Now he has super-duper strength, freeze breath, heat vision, super speed, super hearing, super sight, flight, and the list goes on. I’ll be discussing 10 characters I believe can beat or kill the all-powerful Superman in a fight. Batman doesn’t have any powers, but he is incredibly intelligent. In the Justice League movie “Doom”, it’s revealed that Batman has emergency weapons in case the members ever go rogue. He has a piece of Kryptonite that makes superman powerless, which was gifted to him by Superman. Batman is ready and willing to kill Superman in order to save the world, even without the kryptonite, Batman would have obtained it in some way or came up with another plan to weaken him. It also helps that he’s filthy rich, mind and money can create wonderful things. Martian Manhunter is from Mars, he is the last surviving member of his species and found refuge on Earth. Manhunter is not only incredibly strong, but can shapeshift into anything imaginable. His strength and speed are on par with Superman’s and he has telekinesis which can aid in Superman demise by destroying his brain. The only downside is Manhunter has a weakness to fire, which Superman can easily exploit just like his own weakness Kryptonite. By matching Superman in strength and speed all he’d have to do is use his telekinetic abilities to destroy Superman’s brain and kill him or beat him to death. Superman himself said “He is the most powerful being on the planet”. If one of the strongest heroes says that about you then you are someone to be feared. One day a child named Billy Batson met a wizard named Shazam. The wizard deemed Billy worthy and chose him as the protector of good, Billy would only need to say the wizards name “Shazam” and he’d transform into an adult superhero with the strength and powers of the gods Solomon, Hercules, Atlas, Zeus, Achilles, and Mercury. Shazam, or Captain Marvel, is very powerful, it also helps that he’s a somewhat magical being. Magic is Superman’s second weakness. Shazam is very even with Superman on strength of powers, in fact he was allegedly an inspired character of Superman, which DC sued for copyright infringement and later gained ownership of the character. The main weakness of Shazam is that he’s a child who turns into this powerful being; unfortunately his mind stays the same so he’s incredibly immature. One faithful night, a forensic scientist named Barry Allen was working late in the lab and a lightning bolt burst through the window and hits the chemicals, spilling them all over him. He quickly discovered his powers of speed when everything around him started to slow down. The Flash has a very simple power, Speed. 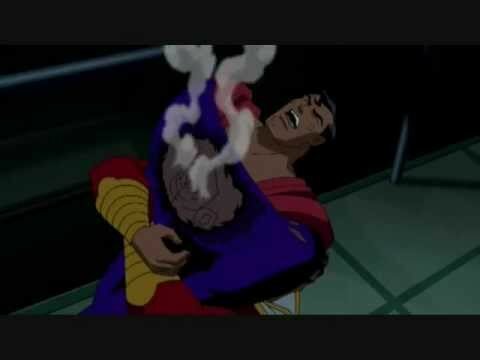 He can unload a multitude of attacks on Superman before he can even react. Speed isn’t where his abilities end, he can use his power to go through time and physical objects. In the words of Muhammed Ali “You can’t hit what you can’t see”. Superman would have a difficult time with The Flash, unable to match his speed he’d have to go crazy trying to hit him. Flash is somewhat of a wildcard though, he doesn’t have the strength to defeat superman so he’d need to heavily rely on not getting hit and possibly vibrating his hands so fast that he penetrates Superman’s heart. Captain Atom, real name Nathaniel Adam, was sentenced to death for a crime he didn’t commit. In order to escape execution, he signed up for a government experiment which gave him a low chance of survival, but if he did survive would be pardoned. He was put in an alien ship that was blown up with a nuclear bomb. The explosion caused the alien metals to fuse with his skin and gave him nuclear powers such as control of radiation. Captain Atom has fought Superman in the past, although he didn’t beat him he could have. Just as he says, he can manipulate radiation; Superman obtains his strength from the Sun’s red radiation. Captain Atom can absorb that energy resulting in a powerless Superman for an easy picking. Of course because they’re teammates and friends he’d never do anything to harm Superman, but remove that from the equation and Superman would be in very big trouble. Lex Luthor is from Smallville and he is Superman’s arch nemesis. He views Superman as a threat to his own projects and as threat to humanity due to his incredible power. Luthor constantly tries to defeat Superman and has pretty much made it one of his life goals. Luthor doesn’t have any powers, unless you’d like to count his superior intellect as one. He’s aware of Superman’s weakness to kryptonite and has used it many times in the past. He also has the money to create weapons that can destroy superman with Kryptonite, much like Batman. Only question is why hasn’t Luthor destroyed Superman since it’s his goal? Well that would be too easy for Lex, much like Batman and the Joker, Superman and Luthor need each other. Luthor needs to be challenged, without Superman there would be no one else to match him. Doomsday is one of Superman’s fiercest enemies. 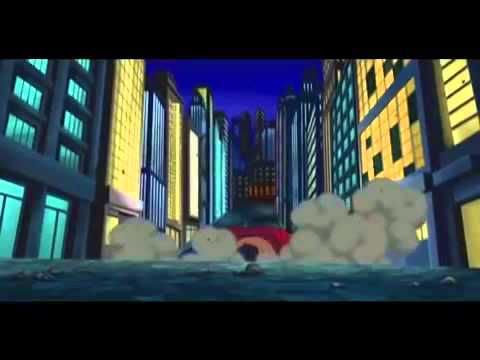 Doomsday is a very powerful being that matches, possibly even exceeds Superman’s strength and speed. Doomsday is a Krypton creation that was made to become the ultimate killer. It has the ability to come back from death, stronger and immune to whatever killed it before, making it a very horrifying monster. Superman would have to use his full power just to battle with the beast. Thor is the god of thunder and the greatest warrior of his homeland Asgard. Mjolnir, a hammer, was created by the king of Asgard Odin, who’s also his father. When Thor became worthy of its power, Odin gifted Mjolnir to Thor, which gave him powerful magical powers. Thor’s powers have magical aspects along with his incredible strength, which would cause Superman to be in a lot of trouble due to his weakness to magic. With the power of his hammer Mjölnir, Thor can put up a match with Superman. They have fought in a Marvel vs DC comic, Superman won, but both agreed it could have gone either way making Thor another character that is equal to Superman. Stephen Strange was an extremely skilled surgeon, until a horrific car accident occurred and damaged the nerves in his hands. Willing to risk anything to cure his injury, he went out in search of the Ancient One in Tibet. The Ancient One refused to cure Dr. Strange’s hands and instead took him as a disciple, making him the new Sorcerer Supreme of Earth. Dr. Strange is one of the greatest magicians ever created. He is a character who can easily beat Superman due to the fact that his abilities are pure magic, which is one of Superman’s greatest weaknesses. Superman would not fare well against Dr. Strange and could easily be killed with simple spells like energy blasts or electricity much like Shazams. However, Dr. Strange does require concentration and he is human compared to Superman who can think and react at 10x the rate. Depending on who gets the drop on the other first, it could go either way.